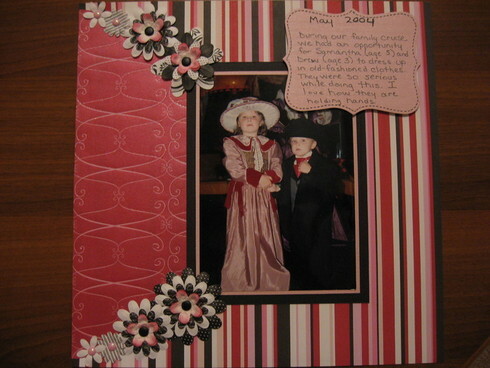 This is my layout for challenge #5 using a photo older than 5 years. This photo was taken of my grandkids on our cruise in May 2004. They dressed up in old-fashioned clothes for this photo. Very interesting topic and great pictures. Very good idea.